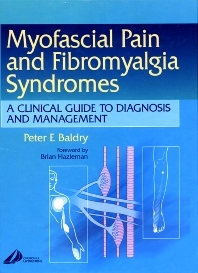 This book is a clear and comprehensive review of current knowledge concerning the myofascial trigger point pain syndrome and fibromyalgia. It covers the pathogenesis, pathophysiology, clinical manifestations and differential diagnosis of these two closely associated muscle pain disorders. A guide to specific treatment involving trigger points is outlined in detail and supported with clear illustrations. The evolution of current concepts. Nocigenic pain-producing and pain-modulating mechanisms. The emotional aspects of pain. Myofascial trigger points. Neurogenic pain disorders and the myofascial pain syndrome the differential diagnosis. Concomitant reflex sympathetic dystrophy syndrome and the myofascial pain syndrome. Treatment of the myofascial pain syndrome.